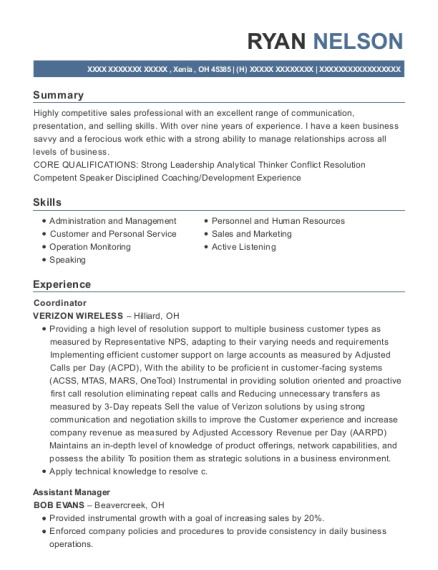 Passionate and motivated, with a drive for excellence. Seeking to utilize my strong passion for medicine, communication and teamwork skills, self- motivation, and people-oriented personality to enhance my educational pharmaceutical experience through a pharmaceutical internship. 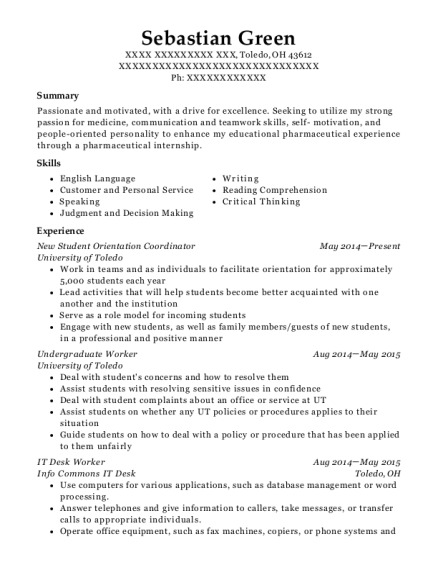 This is a resume for a New Student Orientation Coordinator in Toledo, Ohio with experience working for such companies as University of Toledo and University of Toledo. 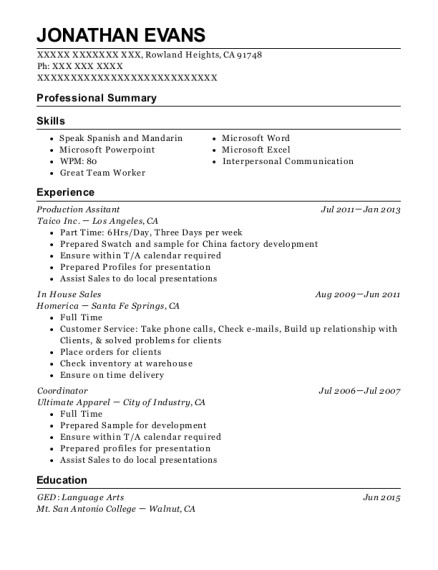 The grade for this resume is 0 and is one of hundreds of New Student Orientation Coordinator resumes available on our site for free. 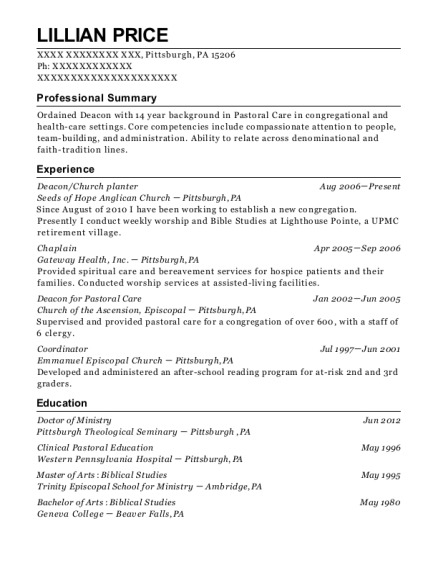 Use these resumes as templates to get help creating the best New Student Orientation Coordinator resume.